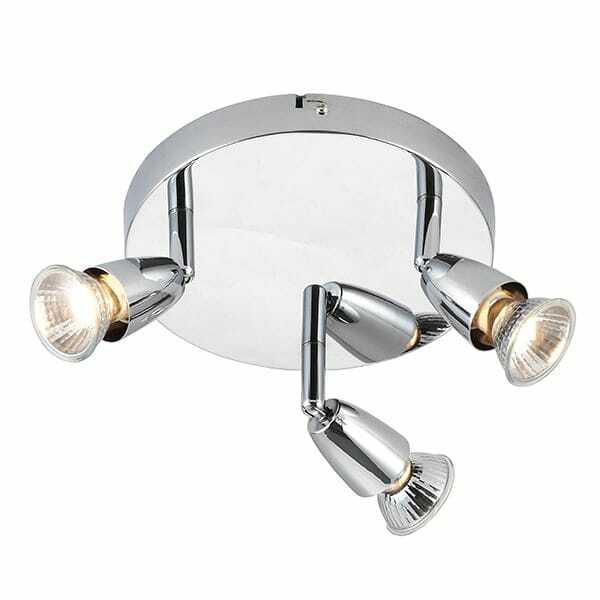 A 3 light ceiling spotlight cluster in a polished chrome finish, suitable for lighting in any setting and ideal for kitchens and rooms with low ceilings. Each individual spot is adjustable allowing it to be rotated 350 degrees and tilted up to 90 degrees. This allows for great maneuverability, the light is also dimmable if fitted with a suitable dimmer switch.